In 1997, Champion acquired a 1.5 acre parcel on Wilshire Boulevard in the exclusive Brentwood neighborhood of West Los Angeles and developed this vertical neighborhood retail center. 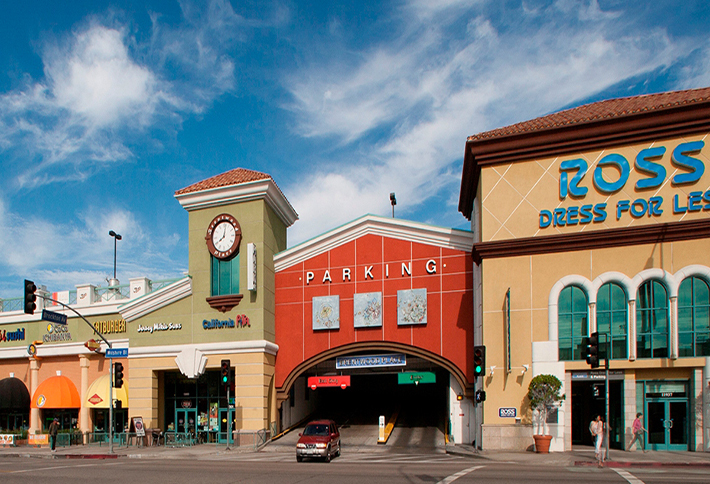 Champion convinced the City of Los Angeles to install a signalized intersection into the entrance of its project, a 63,000 square foot center anchored by Ross and Sav-On (now CVS drugstores), with a three-level, 320 stall parking structure above the stores. Champion was able to obtain local homeowner support and city approval after creating an innovative street front design that disguised the above grade parking structure as part of the retail storefront.